Buying a road bike can be really overwhelming. There’s a joke that with bikes your options are weight, strength, and price. Pick two of them. Seriously though, everything has a trade-off. Special thanks to Pinarello, Fuji, Specialized, and Mavic for the production photos. The frame and fork account for the biggest differences between bikes. The materials and the geometry will determine the handling characteristics, weight, comfort, and performance. Everything else is just a matter of components. Frame materials as you probably know are steel, aluminum, titanium, and carbon. Each material has different characteristics and the way the builder assembles the parts can dramatically change the feel of the bike in terms of handling, comfort, and power transfer. The golden balance is “laterally stiff” (side to side stiffness is more efficient at transferring power and is gives more predictable and responsive handling) and “vertically compliant” (up and down vibration reduction) all while being lightweight. This is why carbon is such a cool material for bike frames. Layering carbon in different orientations allows infinite options to achieve that golden balance, something that is not possible with metal. However, with metal there are things frame builders can do to achieve the golden balance that you can’t do with carbon. The geometry is all about how the bike fits you and what position the bike puts you in when you’re on it. Position is a balance between comfort and efficiency. Some bikes will have a more upright position. This makes you more stable and confident around corners and is generally more comfortable. You build handling skills faster and with more confidence. You learn how to spin and refine your pedal stroke more easily. The trade off is sacrificed efficiency in power transfer and aerodynamics. Race geometries are theoretically more efficient, however they are only efficient and fast if you can maintain the proper riding position. A more aggressive position will lower your hands in relation to your hips. For many people, this will cause your lower back and hips to scoop forward unless your hamstrings are flexible enough and you have a really strong core. As soon as your hips’ angle changes you will lose much of the efficiency you would otherwise gain and it could cause back pain, numb hands, or knee problems. As your riding skills and strength improves you can adjust the fit of the bike to be a little more aggressive and power efficient. If you get to a point where the bike’s geometry (not your skill, strength, or flexibility) is the limiting factor to getting more efficient, you’ve outgrown the bike. If you find yourself drooling over the latest greatest wunderbike with aero this and carbon that, it’s not a sign you’ve outgrown your current bike. That’s just bike lust. It never goes away so just get used to it. 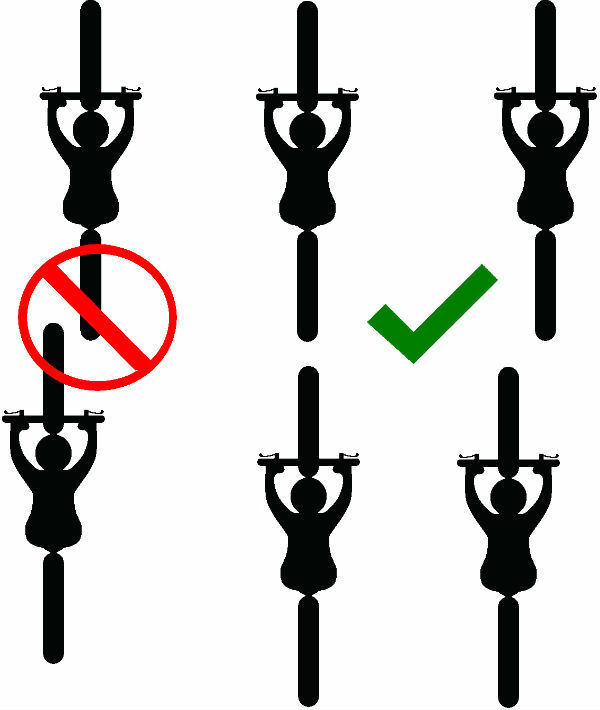 There is no way to determine a bike’s characteristics and fit without riding it. Without riding a lot different bikes for many hours it is really difficult to tell the difference between characteristics. Handling characteristics do differ, but not nearly as much as manufacturers and their marketing staff want you to believe. All of the major manufacturers make excellent and well tested bikes, So it really comes down to fit. Whatever bike you choose, keep about $250 of your budget reserved for a professional fitting. The fitting might only cost about $100, but to really dial it in, you may need to buy a different handlebar or stem or something. On entry to intermediate level bikes the biggest distinguishers will be frame material and drive train components. 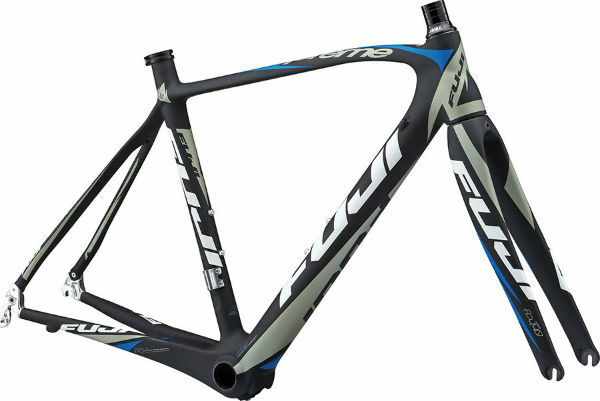 It’s not until you get into the $4000+ range that you start seeing really aggressive geometries, radically different building techniques, internally routed cables, aerodynamic tubes, integrated seat masts, and other distinguishing features some people look for in frames. These little details are nice but they probably aren’t things you’ll miss on even your second road bike. Every other item on the bike is a component. About half of the components make up the drive train which is the most important consideration in this category. It is also one of the biggest factors that determines the price. 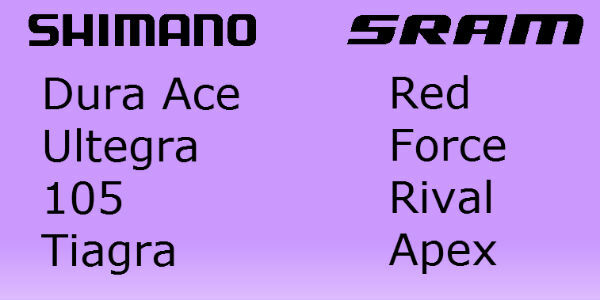 You have Shimano vs SRAM. There’s Campagnolo too, but it is much more expensive and not as prevalent. Components wear out and eventually need to be replaced so it’s not essential that you have the greatest to start with. As you get more into cycling and want to upgrade, this is one spot to spend your money. That said, the only “real” difference between the three tiers of either brand is weight. And the weight difference isn’t that much. Anything that is 105/Rival or up is super solid, reliable, and lightweight. Once you start going down past those levels things change. Heavier, needs adjustment more frequently, and features start disappearing. For example the Tiagra shifters work very differently than 105->Dura Ace. Gearing is another big difference with the lower component levels. Gears are measured in number of teeth and number of gears. On the front you have 3 options. Standard double (53/39), triple, or compact double (50/34). The compact is a really nice balance between the two. Lower gearing (for hills) than the standard and lighter weight than the triple. On the back you have a cassette cluster of 9,10, or 11 sprockets. 10 is the most common. 2×10 refers to 2 chainrings in the front and 10 cogs on the cassette in the back. This gives you 20 different gears. This is the most common setup on road bikes. Mountain bikes are usually 3×9. Tiagra and lower often do not have a 2×10 option. It is usually 2×9. Another reason to go with 105 or up. The gear choices on a cassette can range a great deal. A very common size is 12-25. Until you start riding more, don’t stress too much about the gearing or changing components to change the gearing. If it comes down to two identical bikes with different gear ratios, go with the compact crank and the widest range on the cassette. Saddle, seat post, stem, water bottle cage, handlebar, cables and a bunch of other small parts make up the rest of the bike. The only three things you really have to factor in are wheels, saddle, and pedals. All of these are very easily changed on the bike later. Saddle is 100% a matter of comfort. Pedals are 100% a matter of preference and are usually a separate purchase. Wheels & tires, however, can vary wildly in terms of weight and handling characteristics. No other component will make as much difference on those two factors as wheels and tires. Picking a wheel set is even more overwhelming than picking a bike. There are way more options and variables. Spoke count, material, weight, tire system, hubs, bearings, and rim depth are just the major variables. Luckily the bike will come with wheels. Typically manufacturers pair wheels at the same level as the rest of the components. 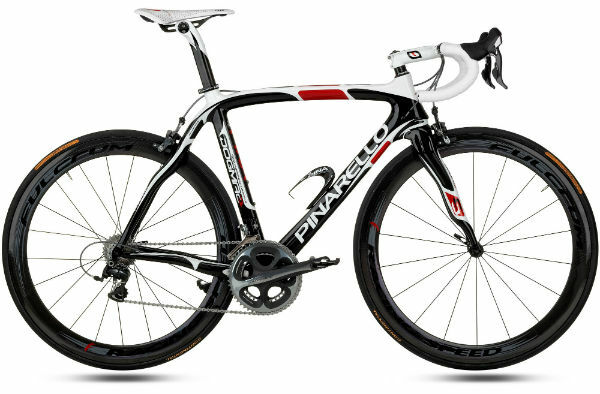 A bike with Ultegra components will probably have nicer wheels than a bike with 105 components. Two of the most popular wheels you’ll find on bikes are Mavic Aksium and Mavic Ksyrium. The Ksyriums are a little nicer, but both are really solid. Any other wheels you see on bikes are probably their house brand. Nothing wrong with house brand wheels, they are usually very well built and excellent all-around wheels. Judging wheels by the rest of the components is typically a safe thing to do because mfg’s know it can affect the ride so much. It’s not a place where they cut corners. Put crappy wheels on a nice bike and the rider will blame the frame for crappy performance. Handlebar, brakes, cables, tubes, headset, and seat posts are entirely a different matter. However, they really don’t matter when you are new to the sport so don’t stress about them. Find a bike that fits, is comfortable, has 105/Rival or better, is $250 under your max price, and fun when you go around corners. Head over to a few different local bike shops and start test riding. Don’t research online, don’t pick up the latest issue of Bicycling, don’t even look at the price tags. Just go test ride at least 12 different bikes split between 7 different brands and 3 different shops. Each test ride should be at least 15 minutes and include a couple sharp turns and a 3% hill. You probably won’t start noticing any differences between them until about the 5th or 6th test ride. Snap a photo of each bike you test with your phone and jot down a couple notes right after the ride. This article was originally published on August 30th, 2012. Electronic shifting, disc brakes, and 11 speed drive trains have hit the scene since then but not frequently found on entry level bikes.